I disagree. I thought this episode was superb. It was taut, exciting, and never lost pace. Yes, the technology may not be used in exactly the correct way, yes, there may be the occasional unlikely coincidence. But quite frankly I was too enthralled by the developing story to notice those. Very clever writing to pick up on and quietly poke fun at both the recent spate of lost laptops/forgotten classified documents and the publication of secret government information by Wikileaks. There were touches of humour and superb acting. I speak Russian, and while the Russian accents might not be perfect, they're acceptable to me. Would it really convey anything more if half the programme had to be watched by most of the audience on subtitles? 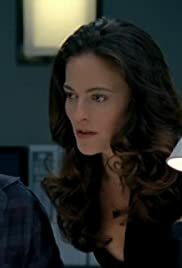 I am warming to Callum, whose sarky comments remind me of Ros Myers; my only problem so far with this series is Lara Pulver, whose casting I feel to have been a mistake. She's trying hard - perhaps too much - but she's on screen with giants, and seems to me to be having a lot of trouble holding her own. But for me, at least, that didn't spoil a riveting episode and a shocking twist at the end that I completely failed to anticipate.